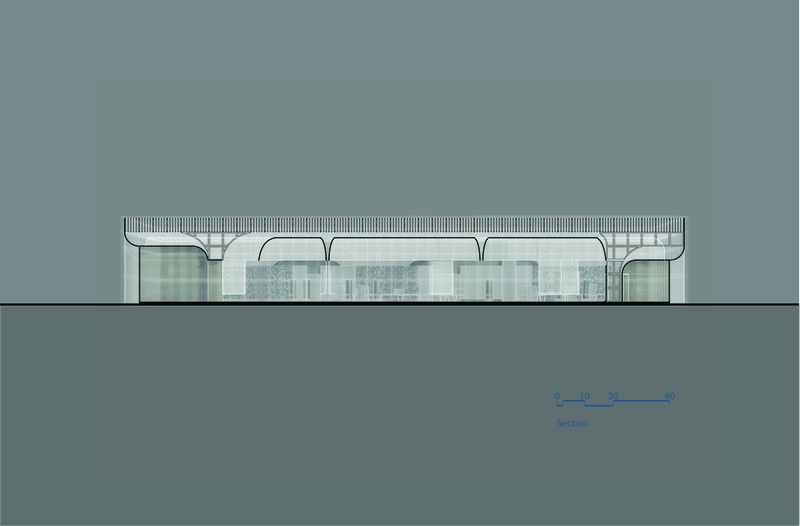 The proposal for a New MASP in São Paulo, a project made by Oscar Abrahamsson at Southern California Institute of Architecture (SCI-Arc) is suggesting a new home for Museu de Arte de São Paulo in Brazil. 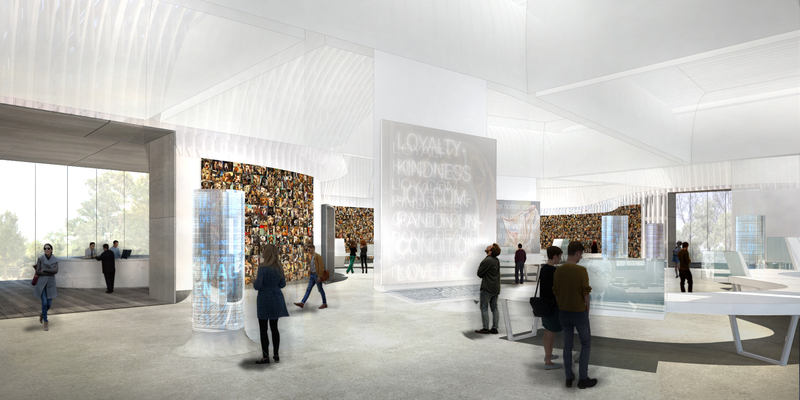 It is an exploration in explicit shape, décor and adornment and new ideas of the urban ground in creating a museum that lowers the threshold between culture and life in the street. The modern project and the universal cities it produced, utopian in their nature, has imposed an alienating effect upon us. The result of modernism is cities where we don’t feel like home. 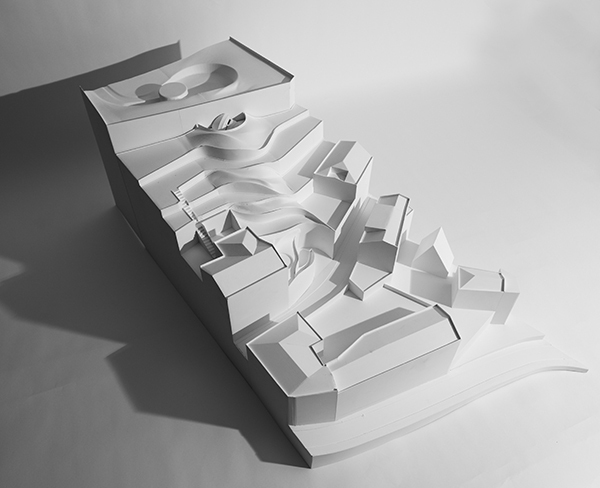 The New MASP is trying to find ways of re-introducing this sense of belonging into the city by creating new models of urban life, while dwelling within the context of urban fragmentation in the megapolis of São Paulo. 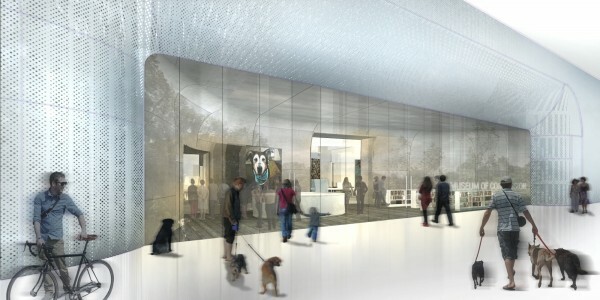 The animal rights activism art-based education facility, Museum of Compassion designed by ANX/Aaron Neubert Architects will be located in Louisville, Kentucky. An interstitial space that is bounded by park amenities such as tennis courts, hiking trails, nature preserve on the north; single family residential development on the east and west; and a zoo on the south side serves as the project site. The architecture consists of a rectangular steel frame pavilion within a park setting – altered by five pro¬grammatic impressions. 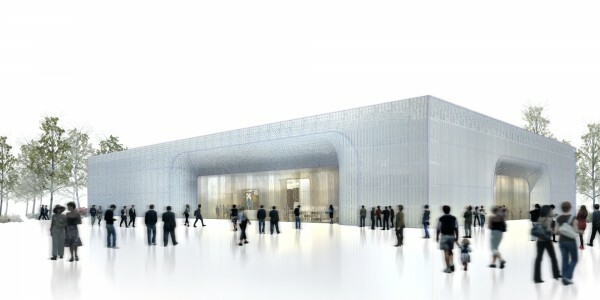 These impressions consist of the Lobby, the Conference Room, the Art Studio, the Visiting Gallery, and the Administration Offices each engaging the exterior landscape, as well as altering the contiguous space of the exhibition hall. The perimeter spaces are clad in reclaimed local wood, while the exhibition hall provides an immersive and ephemeral experience through the deployment of envelop¬ing translucent roof monitors. The perforated steel exterior cladding evokes local industrial archetypes, yet presents a soft and translucent object resting on the landscape. The new Aviation and Science Museum is located in Yeşilköy district, south-west of Istanbul in the same area where Ataturk International Airport is located and where the old aviation museum reside. An area where no horizontal boundaries could be found, only vertical boundaries (strict ones posed by air-traffic control from the nearby airport) and an ill-defined site that expands in all directions. There is no urban texture to be considered nor to be mentioned other than the mechanically and monumentally-scaled structures of the nearby airport and aviation museum. Not only does the museum function as a showroom for airplanes, but also acts as an educational institution to conduct research, lectures, seminars and a place for people with similar interest in aviation science to meet. 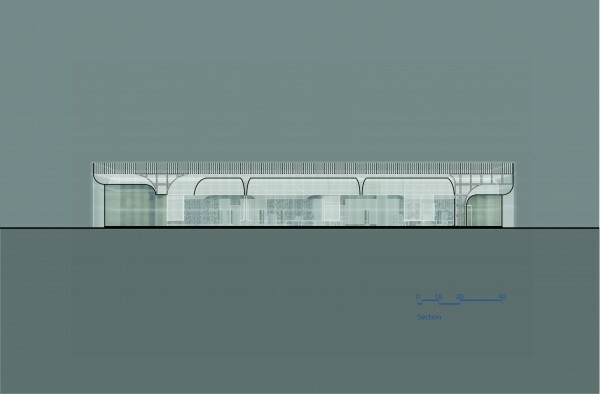 Thus, the new Aviation and Science Museum aims to be the missing linkage between the opposing entities of the problem (the nearby mechanically-scaled airport, the museum itself, the airplanes and artifacts displayed inside and the human visitor). Therefore, the question of how to create a new structure that deals with big scales externally and with smaller human scale and airplane scale internally, respecting each scale on its own in a smooth transition, was raised. In order to address that question on a boundless site, ordinary design process (a top-down one nor bottom-up) wouldn’t be fit. Instead, a mix of both ways that meets in-between was to be considered. Starting both from the smallest scale, investigating the relationship between the subject and the object. The subject being the human visitor, and the object being the artifact ranging from a miniature model of an airplane to a full-size transportation and cargo aircraft, and also at the same time, starting from the master-planning of the site, considering the relationships between the historical watchtower, existing hangars (that date back to the first days of Turkish aviation history), the aviation monument and the paths flowing between. 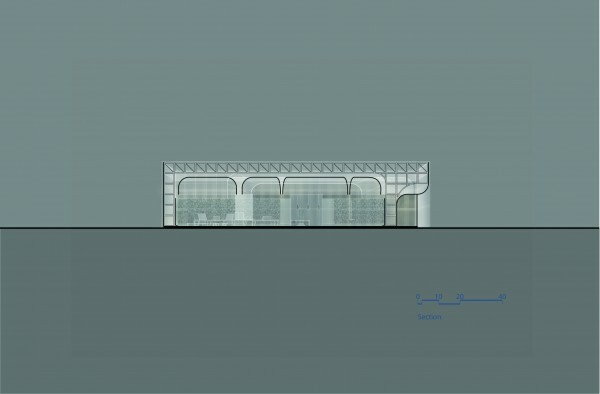 After considering the main axis of circulation that connects the entrance between the historical structures and the aviation monument, this axis was set to expand in cross directions of the site. As a result, expanding the used space of the site, and setting up future plans for expansion. The relation between the subject and the object was mapped in a catalogue that explains the different states of this relation and the resulting differences in the perception of the artifacts, whether the changes happen in the distance between the object and the subject or the viewing angle between them. 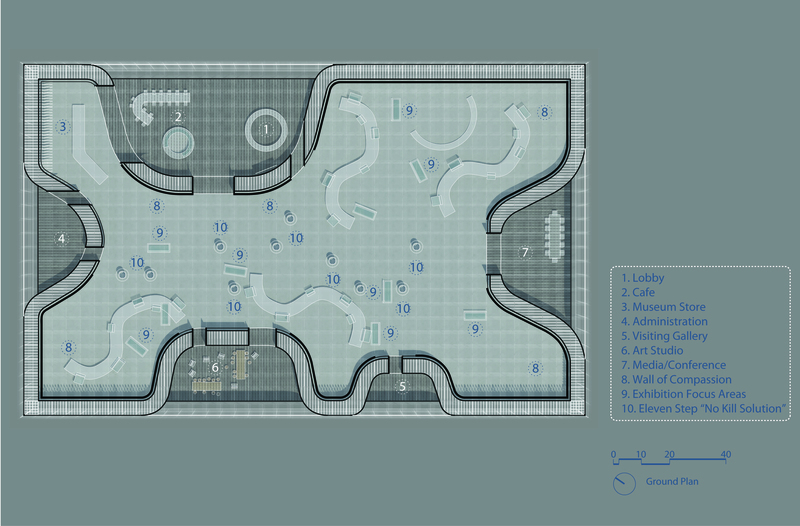 The aim was to perceive the artifacts form as many views and distances as possible. The result of the previous study was 4 different prototypes of viewing platforms combining the most of the cases in the catalogue. 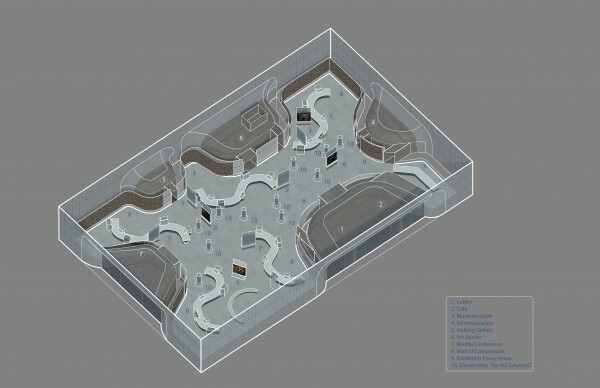 While placing the prototypes of the platform on the axis of the site, previously mentioned to expand in 4 directions, and keeping in-mind the future expansion plans, a modular unit was created. This modular unit could be easily arranged to create one continuous slab that flows from one scale to another (and from one level to another) in a smooth transition of spaces. Each modular unit when combined with another creates outdoor spaces (protected from wind since it’s walled with the arrangement of units). With the expansion of the museum in the future, every time a new unit be added, a new outdoor “wind-free pocket” will emerge. 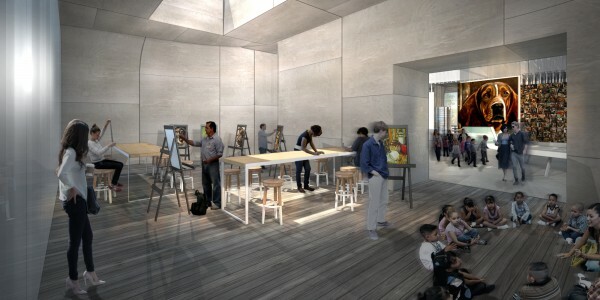 The end result of combining the modular units on an axis driven from the site’s existing condition was a continuous flow of spaces between levels that connects the historical watchtower and hangars with the aviation museum; connecting the visitor with the artifacts in many aspects, and connects the scales that the new shell structure deals with. 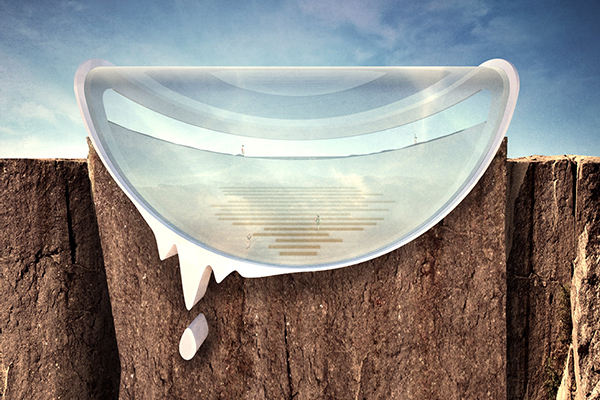 The design of the new Viewpoint on the Pulpit Rock in Norway, is an attempt to combine art with architecture. Based on the famous painting “The Persistence of Memory” by Salvador Dali, fly Architecture wanted to take the surrealistic melting clocks as a template for the design of the new observation deck. A part of the rock is carved out to give the impression of a giant eye. 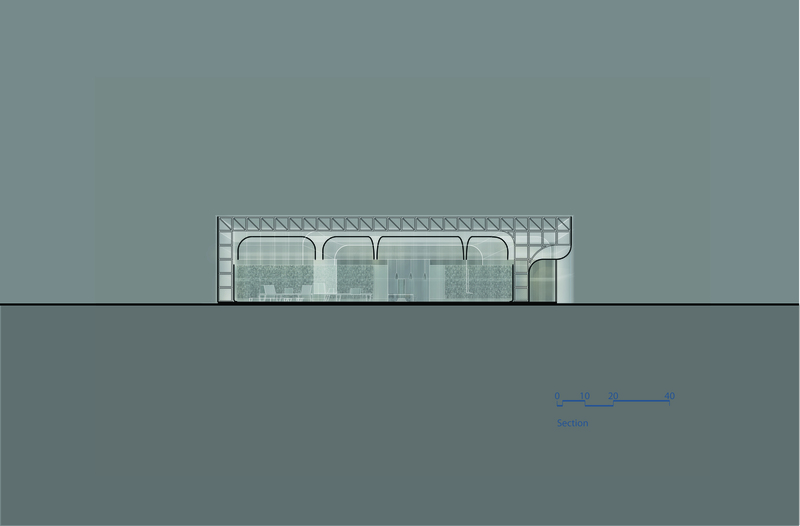 In this cavity, a grandstand is provided with stairs and around it an aluminum/glass structure is stretched. This glass roof with the underlying grandstand, invites visitors to linger both in sunny and rainy weather. 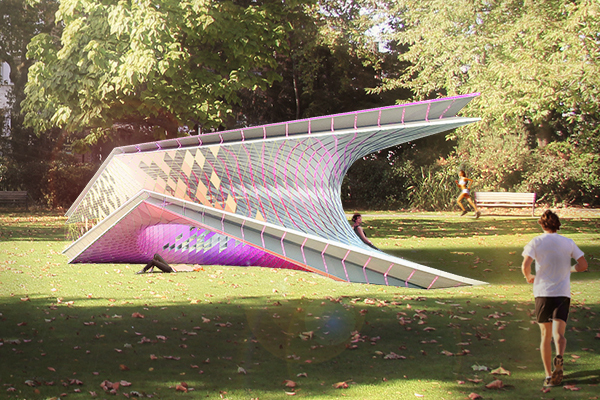 eVolo Magazine is pleased to announce the winners of the 2015 VMODERN Furniture Design Competition. The award recognizes innovative design and creates a forum for the discussion and development of the discipline. What is the future of furniture design? eVolo Magazine received 233 entries from 34 different countries. The Jury selected 3 winners and 20 honorable mentions. 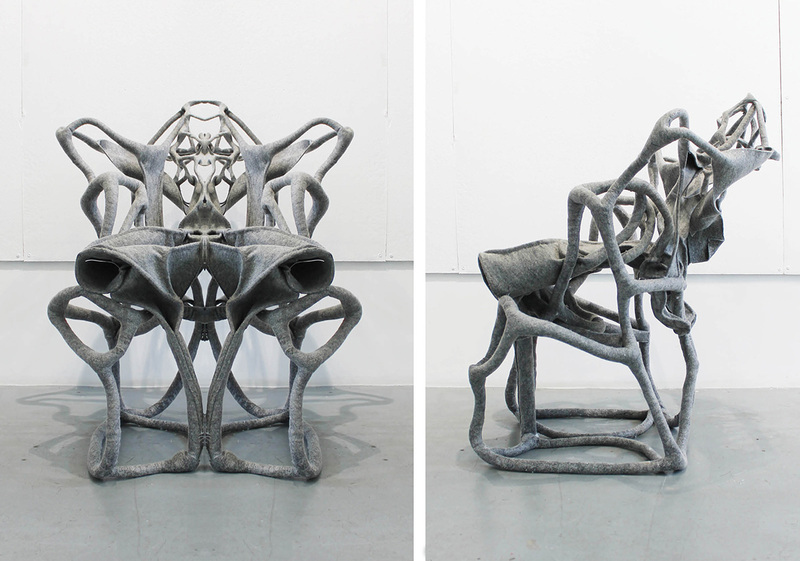 The first place was awarded to I-Ting Tsai, Xixi Zheng, Yiru Yun, and Somdatta Majumdar from the United Kingdom for the design of Fabric Chair. This project is an investigation on the use of fabric as a structural material in furniture design. A special resin was developed to harden fabric placed on a rigid mold. The resin hardens the fabric to become structural while retaining its softness in specific locations. 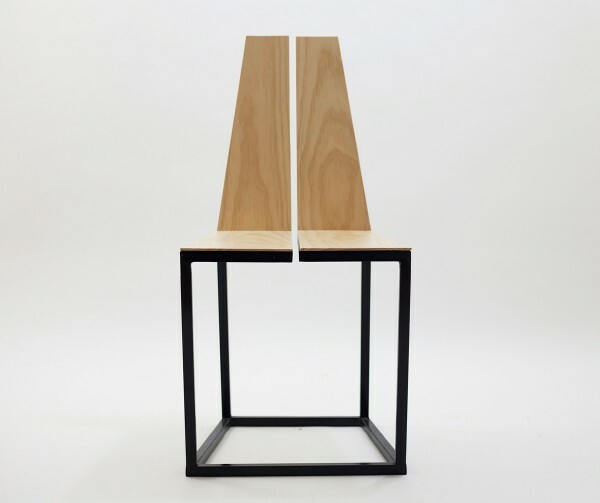 Studio La Cube from Spain received the second place for their project Simmis Chair. This simple and elegant design is a study on symmetry and proportions. The goal was to create a dialogue between visual lightness and the strength and heaviness of wood and steel. The third place was awarded to Open Source Workshop from Italy and the United States for the design of Helix, a diffuse furniture system that generates a continuous interior space by adapting simultaneously to any vertical and horizontal surface while defining an immersive spatial atmosphere. 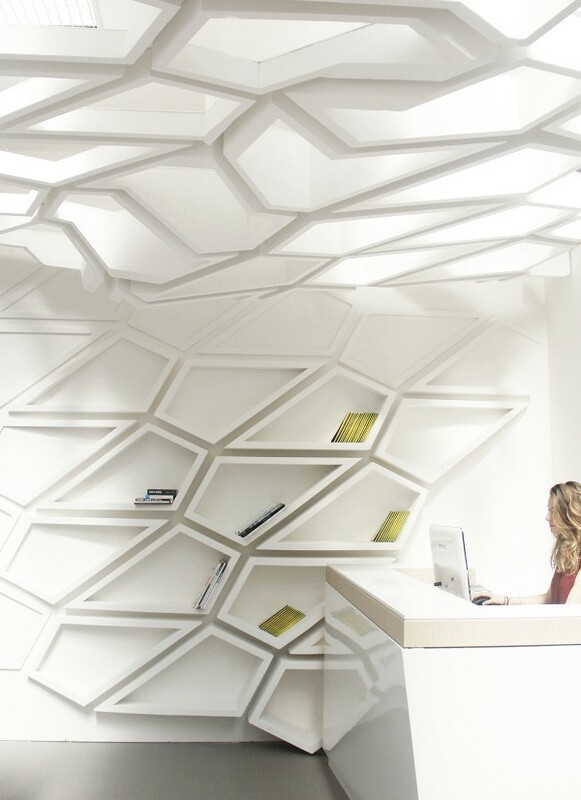 The honorable mentions include materials explorations, the use of digital design and manufacturing processes as well as studies in ergonomics and experiential possibilities. The members of the Jury are: Ammar Eloueini [principal Ammar Eloueini Digit-all Studio], Joel Escalona [principal Joel Escalona Studio, NONO], Mitchell Joachim [principal Terraform ONE], Po Shun Leong [principal Po Shun Leong Design], and Alexander Lervik [principal Lervik Design AB].